JINJA- Over five boats were confiscated by the Uganda people’s defense forces on Sunday, December 9, 2018, at Masese landing site in Jinja. The operation was headed by the UPDF official Godfrey Kanysige. 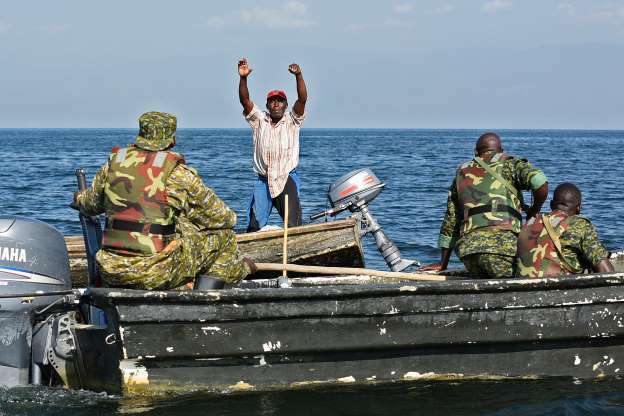 According to Kanysige UPDF the owners of the boats did not have lifejackets for their sailors and the boats were also overloaded. He said that most of the sailors didn’t have life jackets and some boats were overloaded with others in bad conditions which may lead to accidents. This followed a national tragedy that struck the country a few weeks ago leaving the nation in shock after a boat that was carrying revellers capsized in Lake Victoria killing more than 30 people during a boat cruise.